T. E. Andresen has years of experience working with noted historical societies, art institutions and museums. We provide assistance for these and other groups with specialized needs for moving, crating, storage and gallery displays. Of particular note is T. E. Andresen’s over 30 year relationship with the Peabody Essex Museum of Salem, Massachusetts. T.E. 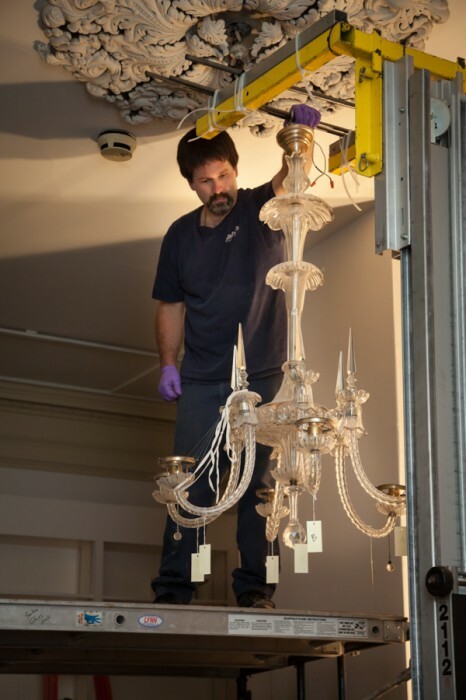 Andresen has worked with and assisted the museum with moving their extensive internal collections as well as the preparation and staging of exhibits from around the world. The Andresen staff has assisted the museum in all phases of its major exhibit preparation including the off-loading of crates from transport trailers, positioning of crates within the museum exhibit halls, the uncrating and installation of artifacts, as well as the rigging and delicate positioning of century old artwork for display in its galleries. Our staff members that we select for this unique business are well seasoned. They have the required technical skills, temperament and collaborative ability to coordinate with the respective conservators and museum staff members to facilitate and execute the tasks at hand. By doing so, T.E. Andresen meets the exacting requirements and high standards of these museum professionals. The Great Age of Sail, England. The Rendez-vous with the Sea, France.